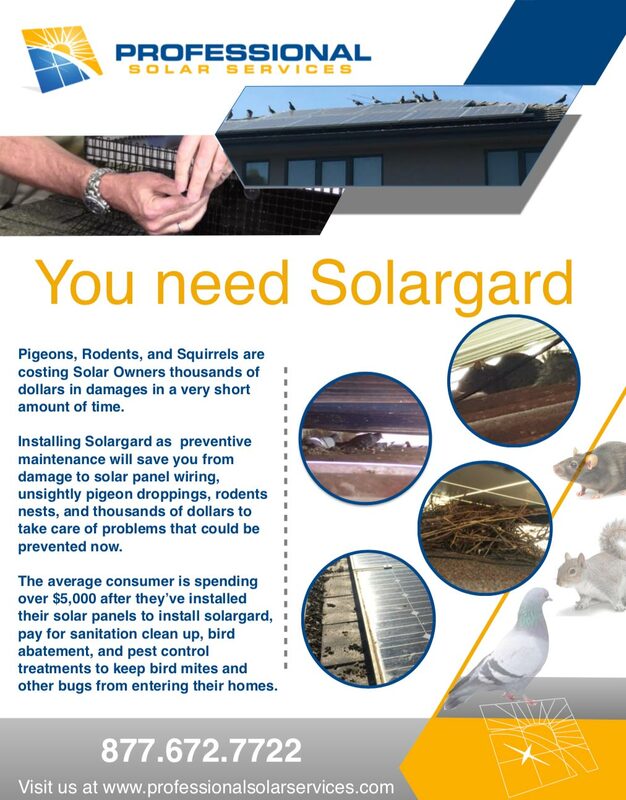 We often get calls from customers and solar companies in regards to pigeons and rodents causing substantial problems to their solar panels. Once pigeons find your panels, it’s very difficult to make them leave. They take up residency under the panels, create nests, begin to breed and will make your solar panels and roof look unsightly. Also, their feces will decrease the efficiency of your solar panels. Rodents such as rats squirrels, possums and raccoons will cause substantial damage to your solar panels and modules. When they find their way underneath the panels, we have seen them chew on wiring, causing thousands of dollars in repair work to be done. Are Birds or Rodents overtaking your Solar Panels? Don’t know what to do? We have a solution for you! First we need to take care of all nesting areas under the solar panels, then we can work to get rid of the birds or rodents that have taken occupancy at your home. 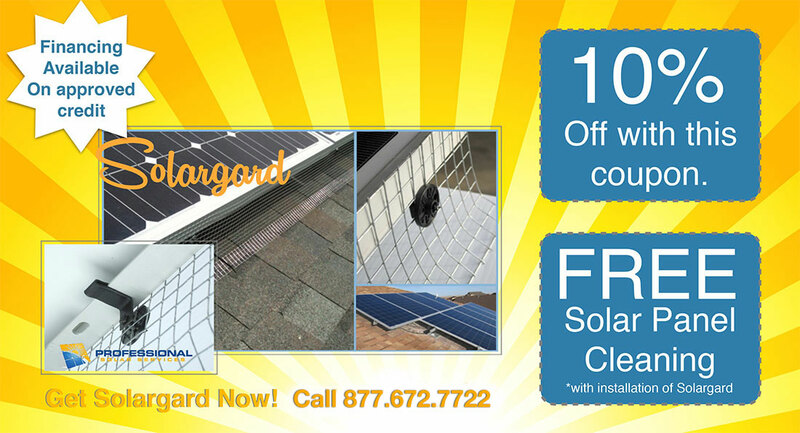 Solargard allows us to eliminate all nesting areas under your solar panels without drilling holes in your solar panels or your roof. Once we’ve excluded them from getting to your solar panels, we can work on eliminating the birds and rodent populations. We have several options depending on where you live and how bad the population is to get rid of all pigeons and rodents at your home or business and ensure they are gone for good.